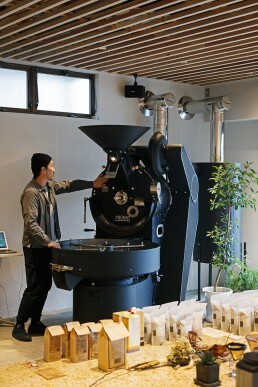 Nagasawa Coffee is a coffee roaster located in Morioka, a city in the Tohoku region in northeastern Japan. 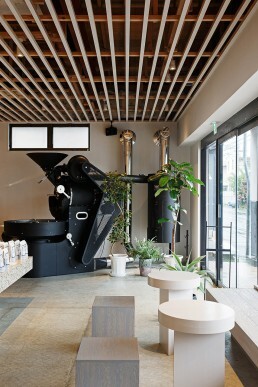 The owners decided to move their shop to a larger space to fit in their new 1960s vintage roaster. 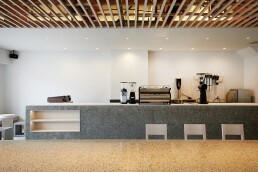 Their vision of the new shop was an open workshop space. 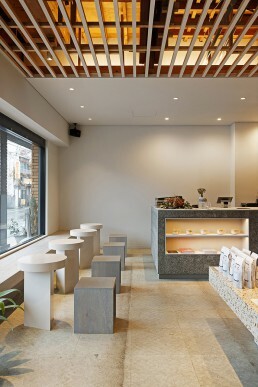 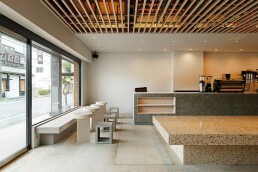 As the main spatial element, Arii Irie Architects designed a 6 meter long, 1.5 meter wide terrazzo table. 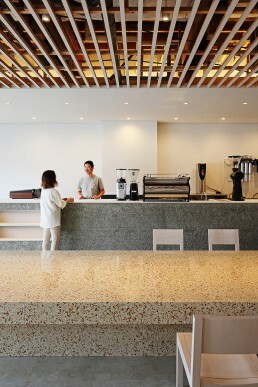 It is intended as both a table to sit at and an active tabletop where unroasted, roasted, and packaged beans are placed altogether, showcasing the live sequence of the roasting process. 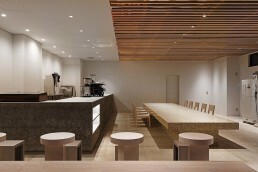 The height of the table is kept low, in order to lower the eyelevel in relation to the 2.8 meter high ceiling. 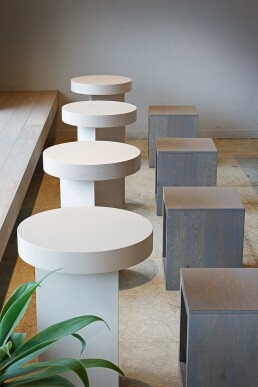 As a result, the proportion of the table creates a vague presence. 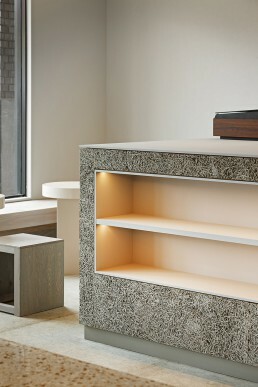 The height makes it seem something like a podium or stage, or a runway because of its length, but it is also like a wall because of the distance it creates between each side.